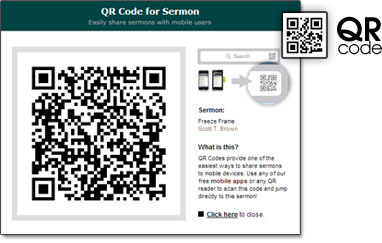 SermonAudio.com | SermonAudio Tip: Sermon QR Codes for Clever Sharing! Sermon QR Codes for Clever Sharing! We've come up with a clever way to easily share any sermon using QR codes! These QR Codes (Quick Response Code) are a type of matrix barcode that is machine-readable and can be used to store information. In our case, every sermon found on SermonAudio now has a unique QR code associated with it. Simply go to any sermon page and click on the QR Code button to reveal the QR code for that particular sermon. With the latest release of our iPhone App + Android App, you can now scan the QR code for any sermon and the app will conveniently jump to that specific sermon! It's an amazingly simple concept implemented beautifully! Scan QR codes from the website on your screen or from another mobile device! 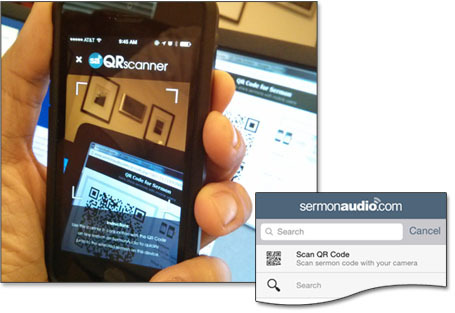 Even if you do not have our app, the QR codes found on SermonAudio will work with any QR scanner and will point you directly to the sermon on the site. 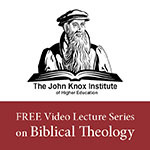 Found a good sermon on the website? Easily take it with you on the go! There is time for generating psn codes by [URL=http://psncodeslive.com/]]]psn codes generator[/URL] online without paying any payment.